SMART (Specific, Measurable, Achievable, Realistic and Time-constrained) Outcomes? Or, VASCULAR Outcomes? Verifiable? Can we tell when they have been achieved? And can students? Action oriented? Do they lead to real and useful activity? Singular? Not combining two or more into one, making it difficult to assess if differently achieved, but readily matchable to student work produced. Constructively aligned? Clear alignment between aims (What do students need to be able to know and do? ), what is taught/ learned, how these are assessed and evaluated). Understandable? Using language codes that are meaningful to all stakeholders. Level-appropriate? Suitable and differentiable between UG, Masters, Doctoral. Affective-inclusive? Not only covering actions but affective capabilities. Regularly reviewed? Not just stuck in history, and always fit-for-purpose. 1. Work together. Faculty: This means you! 2. Understand the difference between rubrics for grading and assessment. 3. Test the rubric before using it. 4. Analyze results in a way that makes sense to you. 5. Tie results back to curriculum and pedagogy. "The Current State of Student Learning Outcomes Assessment in U.S. Colleges and Universities" (NILOA, January 2014). "Rethinking the Bottom Line for Internationalization: What are Students Learning?" 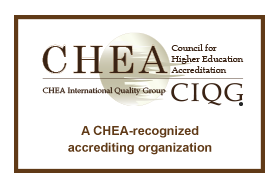 (The Chronicle of Higher Education, March 11, 2013). "The Little Assignment with the Big Impact: Reading, Writing, Critical Reflection, and Meaningful Discussion." (Faculty Focus, May 6, 2013). "What are Institutions Spending on Assessment? Is it Worth the Cost?" (National Institute for Learning Outcomes Assessment, August 2013). Addressing Assessment Fatigue: Or, C.A.V.E. : Colleagues Against Virtually Everything. Learning Outcomes are statements that describe significant and essential learning that learners have achieved, and can reliably demonstrate at the end of the program. Learning Outcomes identify what the learner will know and be able to do – the essential and enduring knowledge, abilities (skills) and attitudes (values, dispositions) that constitute the integrated learning needed for employment or further education. 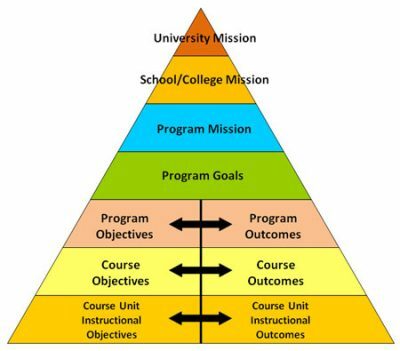 The outcomes assessment approach to education means basing program and curriculum design, content, delivery and assessment on an analysis of the integrated knowledge, skills and values needed by both students and society. In this outcomes-based approach, the ability to demonstrate learning is the key point. Outcomes are achieved results or consequences of what was learned; i.e., evidence that learning took place. Learning outcomes are student-centered and describe what it is that the learner should learn. a point of articulation with graduate attributes at course and/or university (i.e. generic) level. a broad statement of the criterion or standard for acceptable performance.